Margeritha "Marge" Jenkins: I'm aive. Mab Nimue: Still active, still rockin' mage life. Salazar Demes: Senate campaign underway, check out the “Current Campaign” page to see what’s been happening! Mab Nimue: Always recruiting MORE. MORE MAGES. Deep within the Violet Citadel, the Kirin Tor maintains the Arcane Vault, which houses Dalaran's most powerful artifacts. Under heavy magical and physical guard, the Vault is considered impenetrable due to the mysteries that lie within. It may yet have more undiscovered properties… only time will tell. A weapon created in the time of rebellion during the Mogu empire. While many Pandaren were able to rebel with their newly learned monk techniques, the Saurok were not so lucky. A smaller band of them that worked the anima pools that birthed them came up with the idea to rebel by silencing the Sorceror overlords that kept enslaved. The gruesome staff was born out of much sacrifice of Saurok lives to continue to fuel the anima that was used to silence the minds of those who enslaved them, rendering them unable to cast a spell. While they were silenced and minds clouded, magic drained. The Magekiller was then used to dispatch the mage with the blade. Once the rebellion ended, there was no anima left to power the draining abilities of the staff. Until recently, when a saurok religious cult sought to expand their boundaries. Ritualistic sacrifice and aggressive behaviors led the Senate to the Magekiller. 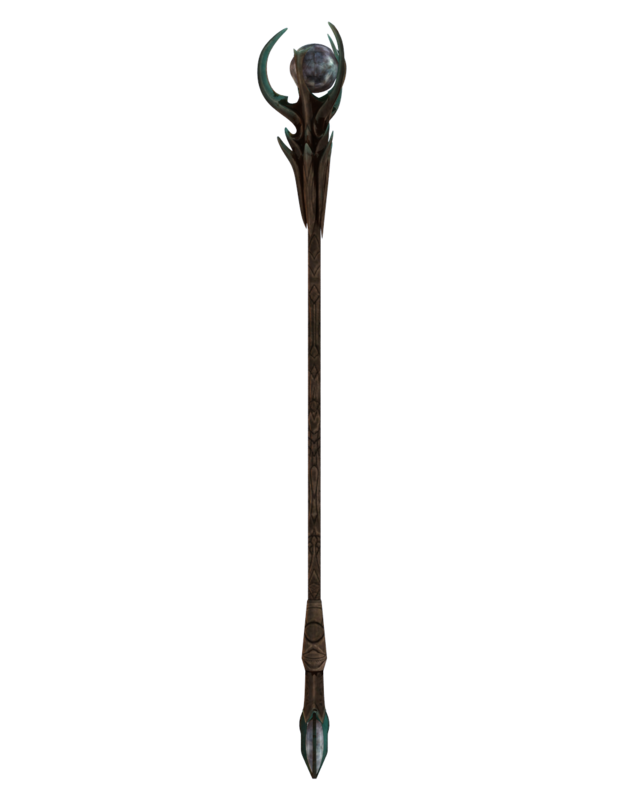 The draining effects of the Magekiller remain so long as the staff contains anima, and is very dangerous to any mage. It is locked away in the Vaults. Description: The Staff of Shifting Shadows is unique in that it does not fully rest in any one particular realm, existing in two places at once, and fully neither at the same time. While the majority of the staff rests in the Material Plane, the focus is bound to the Shadowlands. The staff operates as normal. Attempting to move the staff to the Shadowlands, or pull the focus to the Material Plane also moves a living being to the Shadowlands in equilibrium, or pulls a vengeful ghost from their rest in the Shadowlands along with the focus. Attempting to send the ghost back to the Shadowlands, or get the living being back only makes it worse. It is locked away in the Vault for study under the direction of Minister Demes. Description: The orb is approximately seven inches in diameter while exhibiting a strong dark violet aura. The material itself is a crystalline composite that is engraved with arcane runes across its midway point, top, and bottom third. The runes were engraved by a Shal’dorei arcanist, as noted by the style of script. In its dormant state, the orb is a solid and exhibits no unusual characteristics. However, when active it changes shape from a solid to a pseudo-liquid, while maintaining the rough shape of an spheroid. 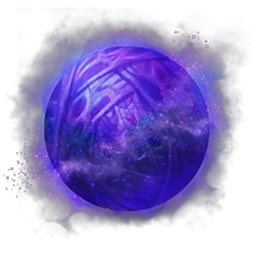 In its active state, the orb has been noted to be connected to the Shadowlands, using the power from the Shadowlands to power it. Use: When active, the orb creates a mass magical dampening field that reduces the effectiveness and duration of all magical abilities within a 150-yard radius. It achieves this by siphoning the magic used directly to the Shadowlands. This process has other possible adverse effects, particularly when used around unanchored souls.